One of the most important aspects of running a successful business today is having the proper technology in place. Technology is an exciting entity that continues to grow and expand. However, with technology comes all sorts of hassles and potential problems. Therefore, in order to keep your business running smoothly and to prevent technological meltdowns, it’s crucial to have the proper IT support. First, it’s important to understand what IT is. IT stands for information technology and it includes computer hardware, software, e-commerce and other electronics. IT also involves the various ways that computers store, retrieve, transmit and manipulate data or information. 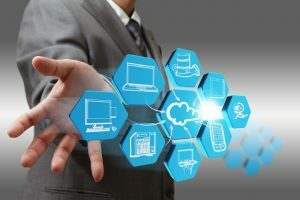 While most think that IT support only involves computer services, it also includes help with other types of technology such as televisions and telephones. While many companies possess an in-house IT department, many are finding that these systems tend to be flawed. The reason for this is that IT departments are typically limited as far as resources and personnel go. Scheduling can cause conflicts also. For example, most IT departments focus on maintenance while updates are also crucial. The problem with in-house IT departments performing system updates is that this typically involves personnel sitting around for hours while the system transforms. Therefore, this can lead businesses to waste money on employees that aren’t being efficient with their time. Hiring an insource group to handle your company’s IT support can be more competent and a better use of your company’s budget. Many IT insource groups offer crucial IT services including consulting, strategy development, management, repairs and upgrades. Today there are many choices when it comes to IT support services. A majority of companies are finding affordable insourcing companies in the United States. It’s easy today to find computer services in any city. Many times, choosing IT services in the United States is a better option than going to China or India. A lot of businesses have turned to overseas support due to the incredibly low costs there. However, IT support services in the United States are not very expensive today. There are also other advantages to choosing IT services in the United States. First of all, by choosing a local computer networking firm over an international one, you’re supporting the American economy. Also, there aren’t language barriers with the services here. Another advantage is that American companies are held more accountable to follow certain guidelines and honest business practices than those halfway across the world. All the way around, it’s a better option to choose IT services in the United States. Article Submitted by Cam Electronics. Cam Electronics offers sound reinforcement products including rock speakers, Bogen amplifiers, music sources, audio mixers, paging equipment and PA systems.